Good protection at high-theft risk. 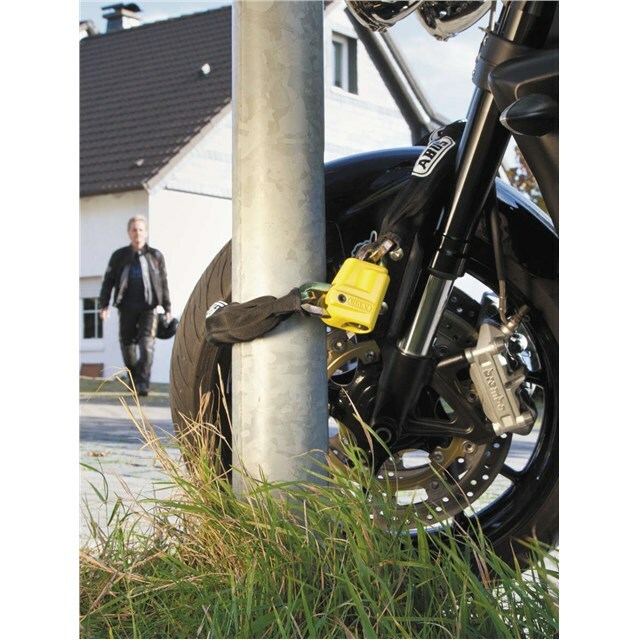 11 mm square chain with fabric sleeve to prevent damage to the motorbike’s paint work. The chain, the lock body, as well as supporting elements of the locking mechanism, are made of special hardened steel. ABUS Plus cylinder for high protection against manipulations, e.g. picking. ABUS Code Card for additional and replacement keys. Innovative locking mechanism: lightweight, single-piece chain lock.